The first one is a staple in my kitchen: Peanut butter. 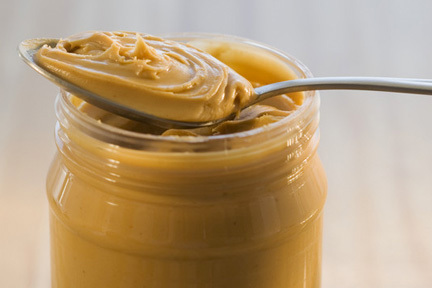 A Harvard University study found that people who ate peanut butter twice a week lost more weight than those who didn’t. That’s because the monounsaturated fatty acids in peanut butter signal our digestive system to release a compound called O-E-A– which literally turns down our appetite, and turns up our metabolism. Next are Dairy products. When we’re low on calcium, our bodies produce a hormone called calcitriol that triggers the production of fat cells. So, more of what we eat winds up on our waistline. And taking a calcium supplement isn’t the answer. Scientists still don’t know why, but people who have a glass of milk, or an ounce of low-fat cheese every day produce less fat-storing calcitriol than those who take calcium in pill form. 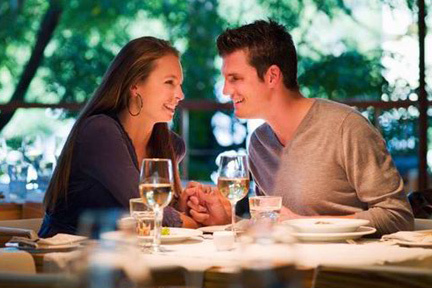 The last food that makes dieters smile: Chocolate… especially dark chocolate. Studies show that the food dieters crave most often, and most intensely, is chocolate. And since unsatisfied cravings lead to binge eating, occasionally indulging in chocolate can keep your eating in check, and leave you thousands of calories ahead. Just be sure to limit your serving size to one ounce… Which is equal to 6 Hershey’s kisses. 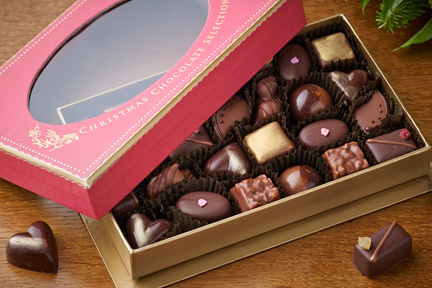 Are you giving someone a box of chocolate for the holidays? Did you know white chocolate isn’t actually chocolate! It’s mostly made up of fat, milk and sugar. It contains none of the antioxidant-rich cocoa used in regular chocolate. 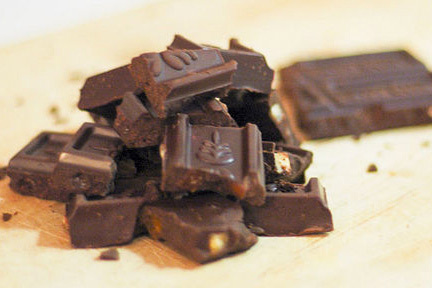 So, stick with milk chocolate – or even better, dark chocolate, which contains the most antioxidants. If you’re about to chomp into something delicious, cut it up first. Whether it’s a bagel, a slice of pizza, or breaking a chocolate bar into pieces. You’ll automatically want to eat less. That’s according to the University of Arizona. Researchers found that the optical illusion of seeing the food in pieces, makes us feel like there’s more to eat, than just seeing one big piece. So, we’ll feel satisfied sooner and eat less. One of the hardest things about losing weight is giving up all your favorite foods. But you don’t have to. Just give up one! Just letting go of one of your favorite vice foods can make a huge difference. For example, letting go of candy & sweets could save you at least 300 calories a day. That’s because the simple carbs in candy digest quickly, leading to a spike-and-crash in your energy level which makes you eat more. I gave up sugar a couple years ago and I had some cravings in the beginning, especially after dinner, but now I no longer get that horrible crash-feeling an hour after I eat a chocolate soufflé. My family thinks I’m crazy, but I take a whiff of the after dinner dessert and that’s all I need.